Stateless people have no official nationality, no passport and no rights. In a formal sense, they don't exist. This means that they cannot get an education, they are not allowed to work, they have no access to medical care, and they cannot travel, marry or open a bank account. Some people are born stateless, others become stateless during the course of their life. According to the UN Refugee Agency, UNHCR, there are at least 10 million stateless people worldwide today. More than a third of these people are children. There are an estimated 10,000 stateless people in the Netherlands. Anoek Steketee Anoek Steketee portrayed stateless people, young and old, born in the Netherlands or elsewhere - vulnerable people who get stuck in Dutch bureaucracy. Eefje and Arnold did the research and wrote the text for the book and the exhibition. 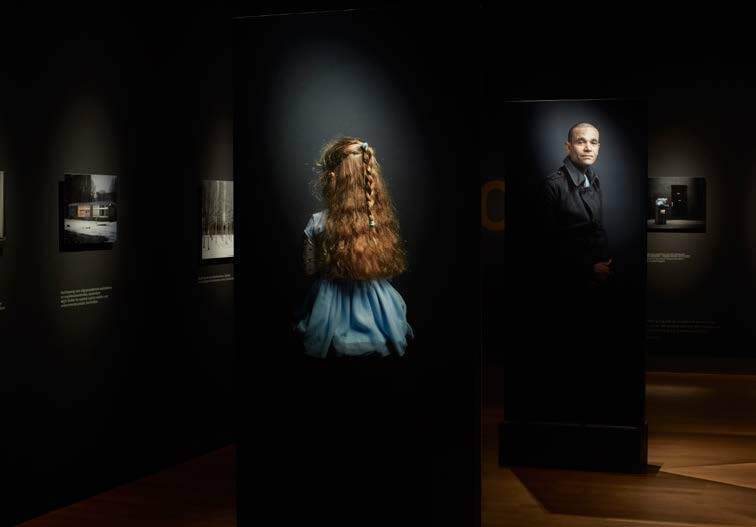 Since 1975, the Rijksmuseum has organised the annual exhibition Document Nederland, for which a Dutch photographer is asked to focus on a topical societal issue. For 2017, Anoek Steketee was commissioned to photograph the theme ‘stateless’. Steketee searched for stateless people in the Netherlands: people without a nationality and without a passport, who in a formal sense don’t exist, but do live in our country. State of Being in het Rijksmuseum in Amsterdam, 6 oktober 2017 - 7 januari 2018. Alongside the exhibition nai010 publishers has published the book ‘State of Being’, designed by Kummer & Herrman. Steketee portrayed people who are stateless, scenes, places and documents. The photo document combined with interviews and texts by Eefje and Arnold forms an intrusive portrait of life in limbo. Following the success of the exhibition at the Rijksmuseum, State of Being will travel as an outdoor exhibition. This exhibition comprises of 5 triangular structures (15 panels) of 120 x 240 cm with 14 portraits and 1 panel with background on the project. The first outdoor exhibition took place at the Spuiplein in The Hague. The project and the theme Statelessness gained a lot of attention. The overwhelming media attention for example resulted in the fact that two of the portrayed girls received a Dutch passport. Articles were published by NRC, De Volkskrant, FD Persoonlijk, AD and het Parool. Anoek was interviewed by Met het Oog op morgen and EenVandaag and NOS reported on the two sisters who received a Dutch passport, Vanessa and Chisom. Monthly magazine Vrij Nederland published a supplement about the project. They also made an online special, which can be viewed here. The outdoor exhibition was made possible by the UN-Refugeeorganisation UNHCR, Open Society Foundation, Amsterdam Fund for the Arts, Humanity House, Just Peace and Movies that Matter. Many thanks to the portrayed and their families for sharing their stories.